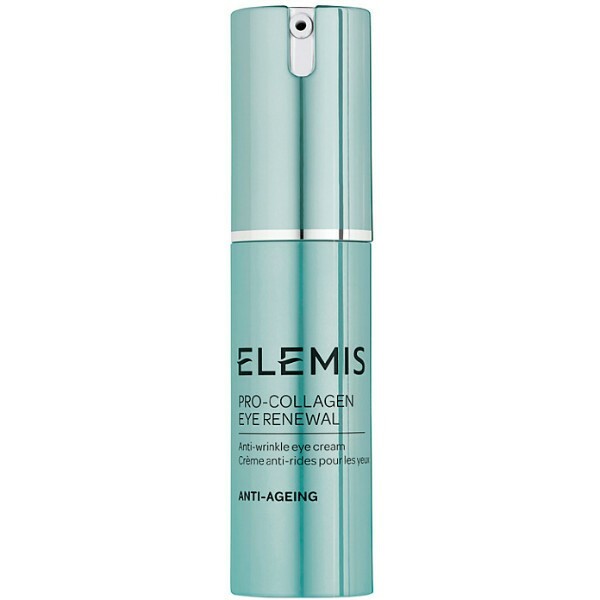 Achieve ultimate results for more youthful looking eyes with this revolutionary anti-ageing eye cream. Warm 2 pumps of Pro-Collagen between fingers and work the product around the contour of both eyes with firm patting movements. Use every morning and evening after applying Pro-Collagen Advanced Eye Treatment and before applying Pro-Collagen Marine Cream, taking care not to drag the eye. Suitable for all skin types especially ageing. Use Elemis Pro-Collagen Eye Renewal to achieve the ultimate results for more youthful looking eyes with this revolutionary anti-ageing eye cream. Elemis scientists spent 3 years developing this treatment cream which has a highly regenerative formula that captures the anti-ageing power. In just 28 days the appearance of fine lines and wrinkles around the delicate eye area is visibly smoothed by up to 60%,* with 67% of volunteers experiencing a significant restructuring effect.